Earn $6.44 in Rewards credit (644 points) What's This? 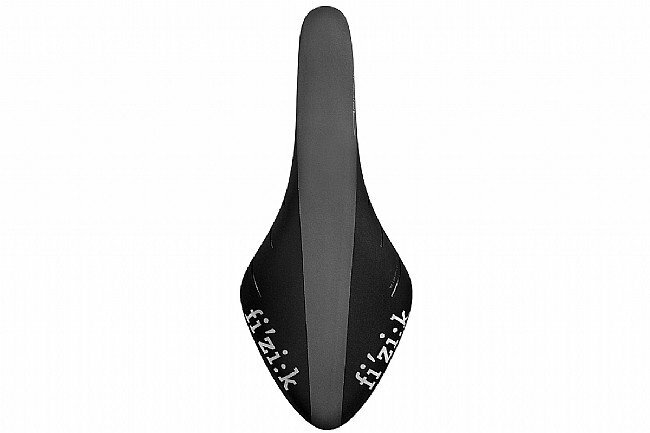 The Fizik Arione R3 offers comfort and performance for flexible riders who prefer more aggressive riding positions. Its long 300 mm length allows for plenty of movement to find the optimum position in any situation, whether on the nose for fast flat efforts or at the back when spinning up a hill. A Wingflex design provides optimized rider support while still allowing flexibility at the edges to prevent interference with the pedal stroke, and it's weatherproof and durable with a thermo-welded Microtex cover, fiberglass-reinforced nylon base, and chromoly rails. The product functioned perfectly and was easy to adjust. For me it did not eliminate the man pain from cycling saddles. Western with their awesome return policy is allowing me to return and purchase another saddle which will be Antares R1 Versus EVO. 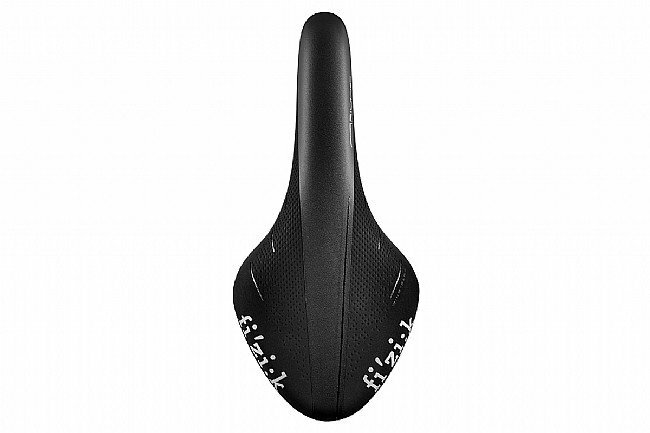 I started using this saddle on one of my bikes to try a saddle that has even contact. 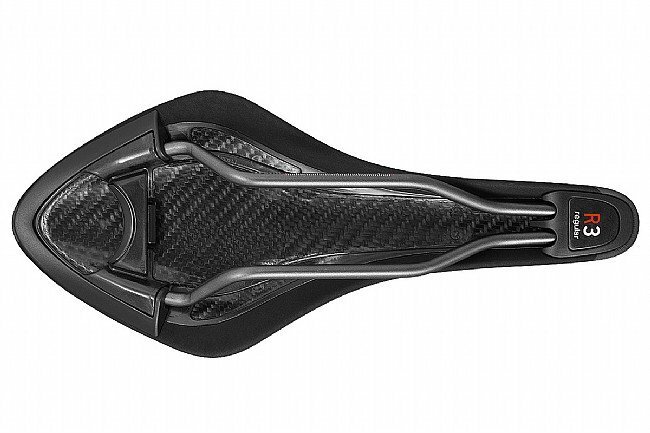 Since I started riding a few years back, I always had a saddle with a slot in it but still always had discomfort. I heard people talk about even contact being more efficient. So this was my first saddle trying that out. Since swapping to this I had to get another one for my criterium bike also. It just feels like the pressure is even...in other words, less pressure points. I would definitely give this a try if you've been using saddles with openings in them. You'll be surprised. I like this wider version of the Arione R3 (Large - 142mm width). I'd buy several more except for the dealbreaker, which is the saddle covering. Look at the saddle and you'll see a broad strip going down the middle from the nose. The problem is that it has a raised edge on the lower outside edges, and it appears to eat bike shorts prematurely. Why Fizik did this I don't know. A simple single smooth covering would've been fine. I'm actually going to try having my R3 recovered to get rid of that issue. Which I guess is an underhanded compliment to how much I like the fit of this saddle. The Arione allows me to move around in different positions more easily than other saddles I've used. The shape felt a little awkward at first, but I grew accustomed to it after a couple weeks and don't notice the difference anymore. 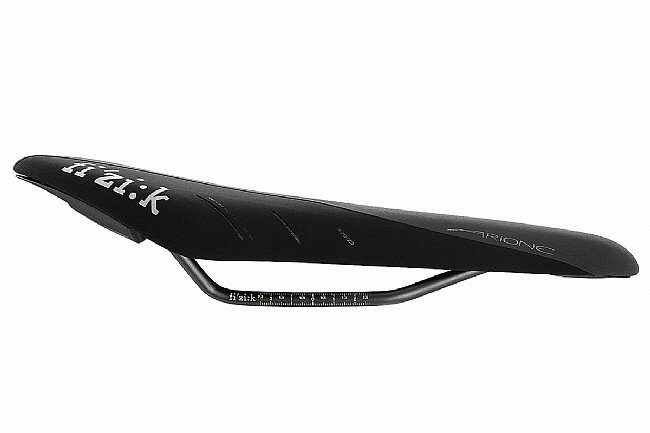 I've done many rides in the 50-100 mile range on this saddle and have no complaints. I was also pleasantly surprised that the Arione's actual weight on my scale-200g-was exactly as advertised.